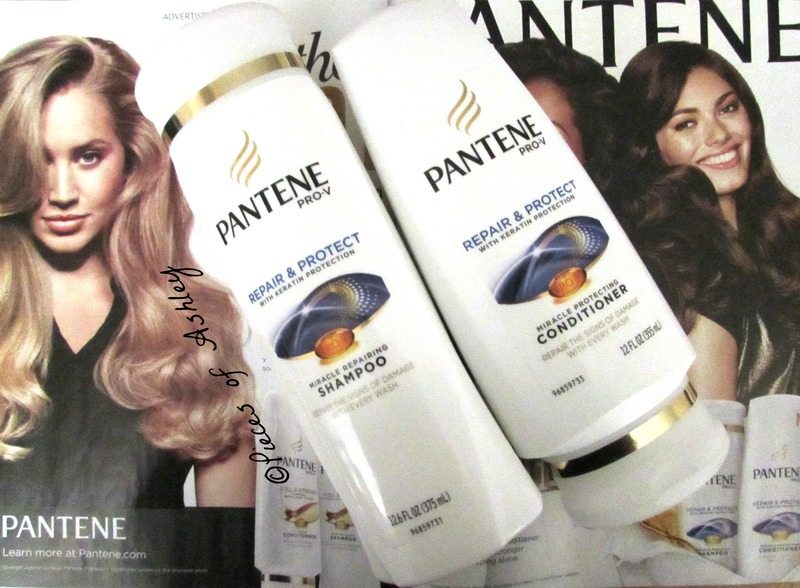 The Pantene Pro-V Repair and Protect with Keratin Protection Shampoo and Conditioner is supposed to fix hair damage. These two products help reduce protein loss, to achieve healthy and strong hair. Our hair is partially made of protein and keratin, so it's very important for your hair to be protected. It's said that this shampoo and conditioner will repair damaged hair by restoring smoothness, shine, and manageability. Over this past weekend my mom needed some new shampoo and conditioner because she didn't have any. She asked me to help her choose which one looked good. I decided this one should be worth it. After watching YouTube videos and reading a lot about hair Keratin is vital to our hair. While at home I was looking through People magazine and found the shampoo and conditioner my mom got from the store. For some strange reason I was pretty excited to find this in the magazine. So this has to be the real deal right? Even though I stopped using sulfate shampoo and conditioners this seems worth the try. I will definitely let you know what I think about this in a future update. I hope you enjoyed reading. What shampoo and conditioner do you use for strong and healthy hair?